Growing up on a council estate in East London, teenager Reggie Nelson was told he had three options when the time came to leave school - play football, make music or get in to crime. 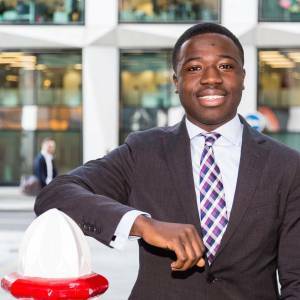 Students from Kingston University have been putting their creativity and entrepreneurial acumen to the test to come up with solutions to challenges faced by the borough's businesses and Kingston Council. 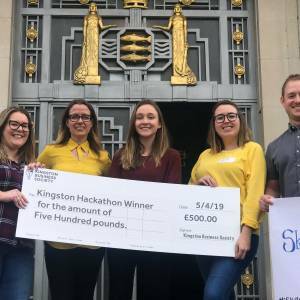 They took over the Council chamber in the town's Guildhall for a hackathon event organised by the Union of Kingston Students' business society, Kingston Chamber of Commerce and the University's Enterprise team. The Korean garment Hanbok has taken centre stage at a Kingston School of Art exhibition fusing traditional costume with contemporary design. 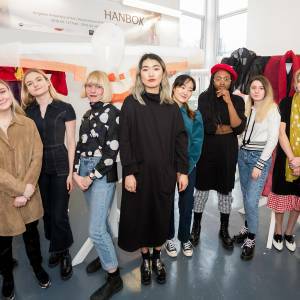 Works produced in partnership with the Royal School of Needlework and the Hanbok Advancement Centre went on show at the University's Stanley Picker Gallery following a collaborative project harnessing the skills of specially selected students from both institutions. 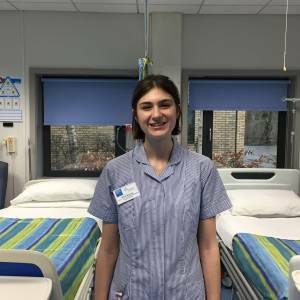 A third year adult nursing student at Kingston University and St George's, University of London has been shortlisted for the inaugural National Student Nurse Congress Award. 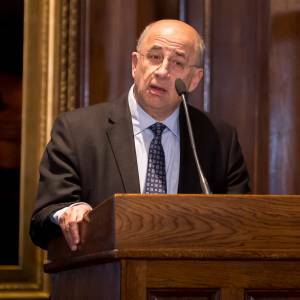 Sir Brian Leveson highlighted the importance of ensuring the lessons of his landmark examination of standards in journalism were not forgotten at an event to launch Kingston University's online archive of the Leveson Inquiry. Addressing an audience of leading journalists, lawyers, MPs and inquiry witnesses, he praised the University's DiscoverLeveson.com project for providing easy access to the wealth of evidence from his inquiry in to the culture, practice and ethics of the press, conducted during 2011 and 2012. More than 100 borough residents have joined Kingston University staff and students to take an exclusive look at progress on the Town House site. 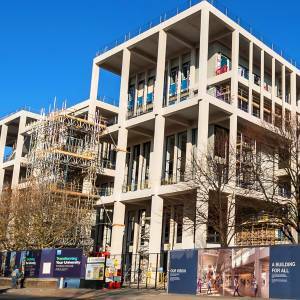 Kingston University is now on the countdown to completion of the new building on its Penrhyn Road campus, which is scheduled to open next year. A Kingston University and Reading Force seminar to help trainee teachers and more experienced educators understand the needs of Armed Forces' children as they progress through the school system has been hailed by a senior Government policy advisor. A tour around one of the world's most famous football stadiums and a training session with a footballer who won 19 trophies during his career were just part of the itinerary for Kingston University sport science student Beth Reeves during a European trip organised by Santander Universities.